Henri Dominique Lallemand was born on October 17, 1777 in Metz, France, where his father owned a wig-making shop. Like his brother Charles Lallemand, Henri was keen on a military life. He studied at the École Polytechnique, near Paris, and became an artillery officer. Henri Lallemand fought in Egypt, Spain and Germany, and built a reputation as a sound organizer and trainer at his regiment’s depot at Metz. However, it wasn’t until 1809 at Wagram that he really distinguished himself on the battlefield. Napoleon rewarded him by making him a Baron of the Empire in 1810. During the Russian campaign in 1812, Lallemand showed inspiring leadership at Smolensk and Borodino. He also commendably tried to keep his guns moving during the retreat. As chief of staff of the Imperial Guard artillery, he fought at Lutzen, Bautzen and Leipzig. 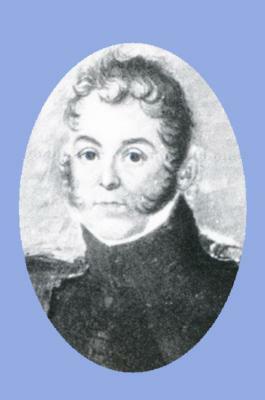 In 1814, Lallemand became a general. He played a key role in the battles of Brienne, Montmirail and Laon. After Napoleon’s first abdication, Lallemand unenthusiastically served under King Louis XVIII. When Napoleon escaped from Elba in 1815, Henri Lallemand joined the unsuccessful plot of his brother and Charles Lefebvre-Desnouettes to seize the artillery depot of La Fère for the Emperor. He was arrested and imprisoned. Released when Napoleon entered Paris, Lallemand was made second-in-command of the Imperial Guard artillery. When General Desvaux was killed during the Battle of Waterloo, Lallemand assumed full command. Wounded during the final stages of the battle, he followed the army back to Paris, where Napoleon abdicated for the final time. Knowing he would be tried for treason, Henri Lallemand escaped to England under the false name of General Cotting. A French court sentenced him to death in absentia. Lallemand sailed from Liverpool to Boston, arriving in 1816. Lallemand became part of Joseph Bonaparte’s entourage and settled in Philadelphia. There he met and fell in love with the niece of Stephen Girard, the richest man in the United States. Henriette (or Henrietta) Maria Girard (also called Harriet), was born on June 21, 1802 in Burlington, NJ. She was the daughter of Girard’s older brother Jean, who died in 1803. Her mother, Eleanor (McMullin) Girard, died in 1807. Henriette and her two older sisters, Antoinette and Caroline, went to live with their rich uncle. She must have been an attractive prospect for the exiled Napoleonic officer, who was over twice her age. Lallemand became a shareholder in the Society for the Cultivation of the Vine and Olive, which successfully petitioned Congress for a grant of land in Alabama to establish a colony for the French exiles. Charles Lallemand – who arrived in the United States in 1817 – was president of the Society. Together the brothers came up with a scheme to sell the Alabama land grants to finance an armed expedition to Texas, which was then under Spanish rule. The two were arrested by local constables before they could fight. Followed by a crowd, they were led through Philadelphia in police custody and taken before a magistrate who made them post a substantial bond. Henri and Henriette Lallemand were married on October 28, 1817 in Philadelphia. Louis Lauret was the best man. The witnesses included Stephen Girard, Joseph Bonaparte, Charles Lallemand and Emmanuel de Grouchy (the French Marshal whom Napoleon blamed for his defeat at Waterloo). On August 27, 1819, Henri’s and Henriette’s daughter, Caroline Adelaide Stephanie, was born. Henri occupied himself with writing a two-volume Treatise on Artillery, which War Secretary John C. Calhoun helped him publish in 1820. 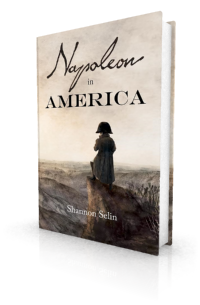 The following year the US army adopted the treatise as its standard manual – something referred to in Napoleon in America when Lallemand tries (on Napoleon’s behalf) to entice Simon Bernard to leave the US military. When the Marquis de Lafayette visited the United States in 1824, he was surprised to see artillerists near Boston using perfect imitations of French guns. Henri Lallemand died in Bordentown, NJ (possibly at Joseph Bonaparte’s house) of dysentery on September 15, 1823, a month short of his 46th birthday. Stephen Girard had a tomb built for him in the Holy Trinity Catholic cemetery in Philadelphia. Joseph Bonaparte invited Henriette – who became good friends with Joseph’s daughters Charlotte and Zénaïde – and her daughter to stay at his house. Girard also offered her a permanent home with him in Philadelphia. She appears to have stayed there until 1829, when she married John Yardley Clark, a prominent Philadelphia physician and a widower with a four-year-old son. Henriette and her new husband had three children: Roma (died in infancy), Henry and Florence. For many years they lived in Paris. They returned to America around 1853, with Clark in failing health. He died in 1863. Henriette died in Philadelphia on July 26, 1880. She was in poor health for the last 20 years of her life. Three years before her death she had a paralytic stroke, from which she never recovered. Henri’s and Henriette’s daughter Caroline – who received a bequest of $20,000 in Stephen Girard’s will – married a Frenchman with the last name of de St. Marsault (some sources say he was the Count de Saint-Marsault, but I’ve found no primary evidence of that). Mark Adkin, The Waterloo Companion (Mechanicsburg, PA, 2001), p. 292. Rafe Blaufarb, Bonapartists in the Borderlands: French Exiles and Refugees on the Gulf Coast, 1815-1835 (Tuscaloosa, 2005), pp. 91-92. Patricia Tyson Stroud, The Man Who Had Been King: The American Exile of Napoleon’s Brother Joseph (Philadelphia, 2005), p. 29. Blaufarb, Bonapartists in the Borderlands, p. 101. A. Levasseur, Lafayette in America in 1824 and 1825; or Journal of a Voyage to the United States, Vol. 1, translated by John D. Godman (Philadelphia, 1829), p. 62. “The Late Mrs. Girard-Clark,” The New York Times, July 29, 1880. July 1817 ‘A new scheme is hatching between the two Generals Lallemand and Clauzel and Monsieur Lakanal. Joseph has let it be known that he will reward the successful venture handsomely.’ It would seem the escape plans did not work … hmm or maybe they did …? Only in Napoleon in America, Lally. 🙂 Actually evidence of the Lakanal conspiracy surfaced in the United States and made its way to John Quincy Adams and President James Monroe. There’s a good description of the episode in The Bonapartes in America by Clarence Edward Macartney and Gordon Dorrance (1939), which is online here: http://penelope.uchicago.edu/Thayer/E/Gazetteer/Places/America/United_States/_Topics/history/_Texts/MnDBIA/10*.html. Thanks for your kind comment about the post. Many thanks for that info and link Shannon, very grateful, fascinating reading! I am Henriette’s gt.gt.grandson by Clark. I knew my grandmother very well, and she remembered Henriette, having been born in 1867. She said she could sit on her hair, and a portrait I have confirms this. I would note that Henriette was only 15 and 4 months when she married Lallemand, so she was a mother at 16. I can confirm that the de Saint Marsault that her daughter Caroline married was a French count. My gt grandmother Florence Clark was born at their chateau in 1842. Thank you, Geoffrey. How wonderful to have these additional details about Henriette, and to confirm that Caroline married a French count. I would love to see that portrait of Henriette. Henriette was a friend of Joseph’s wonderful daughters Charlotte and Zenaide, whom she met when they visited their father in the early 1820s. They all three had artistic ability, especially Charlotte, who became a professional artist, and was the subject of an exhibition in the Museo Napoleonico in Rome about 3 or 4 years ago. The catalogue contains an account she wrote of her parting with Henriette on leaving America. They met again in Italy in 1830. Thanks, Geoffrey. I just wrote a post about Charlotte, which you can find here: https://shannonselin.com/2015/01/charlotte-bonaparte/. I knew Charlotte had been friends with Henriette in the United States, but didn’t realize they had seen each other again in Italy. I will have to see if I can find a copy of the catalogue you refer to, as that account would be interesting to read. Yes, the sisters Caroline and Henriette, with their husbands, set out in autumn 1829 on a trip to Europe. They started in Ireland, then Great Britain, then on through France and Switzerland to Italy. They met Charlotte in Florence, then went on to Rome where they met Zenaide and also Madame Mere. Then to Naples, and on the way back saw Zenaide and Madame Mere again. When they were in Rome in April 1830 baby Roma was born to Henriette. Strange that they embarked on a November crossing of the Atlantic with her pregnant, but I suppose Clark had confidence in himself. On their return to England they were caught in Paris for the July revolution. The account in the catalogue is an extract from a memoir written by Charlotte, so if you can’t find the catalogue, which is a mighty work, written in Italian but with Charlotte’s original French also, you may find the memoir elsewhere. I would like to find it myself, as I am half in love with Charlotte! An interesting fact about Clark, passed on by my grandmother but perhaps not written anywhere, is that he had met Franz Schubert. He must have done this in Vienna, and my guess is that he met someone who had the entrée to Schubert’s musical evenings, and went to one or more of them. I hope this is not too boring. I am not quite sure if you have seen my more detailed account of Caroline and Henriette’s journey to Europe in 1829-30, as it does not appear. In case you wonder how I know all this, I have a bunch of family letters and also a ms. journal in 4 volumes written by Caroline of their trip. At the end of every day she wrote a detailed description of what they had seen and done. It is very difficult to read, though. another little point about Henriette’s life is that when Lallemand died she was taken in by Joseph. However, when Stephen Girard heard this he wrote an urgent letter, which I have (in a scribe’s hand, but with his own signature), telling her to leave Joseph and come to him. The reason he gave was that Joseph had too much on his hands, but I suspect that he was worried for her reputation, as Joseph couldn’t be trusted with a female hedgehog, as they say. I am also curious about the interval between Jean Girard’s death and their being taken in by Stephen the first time. I think there was such an interval. Thank you so much, Geoffrey. 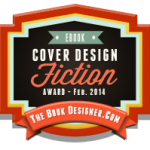 These are wonderful details – exactly the sort of thing I love to learn! I’ve never come across Charlotte’s memoir; I will look for it. I imagine you’re right about Girard’s motivation for moving Henriette out of Joseph’s house. Not a safe place for an attractive young lady. I don’t know much about Henriette’s early life, or the exact timing of her and her sisters’ being put under the care of Stephen Girard. It sounds like you have some splendid family memorabilia. I should have said this before — Henriette was born on 26th June 1802, not in 1799. My remark above about her age at marriage takes account of this. Thanks Geoffrey. I’ve updated the post accordingly. Incidentally, I finally obtained a copy of the Charlotte Bonaparte exhibition catalogue – it’s fantastic. Thanks so much for that reference. Are you absolutely sure it is a translation of the original Italian catalogue, because there was a French catalogue also going round which though no doubt informative, was not the same? Eg, is there a chapter about the Bonaparte family reunion in London in 1833, with a certain amount of material about the English watercolour school? I haven’t got access to my copy at present, so can’t go into much detail. It would have been a massive effort to translate the Italian catalogue, and rather unusual. It had a picture by Charlotte of a box of watercolour paints, with a brush, and a tiny landscape leaning against it, on the front cover. Good point Geoffrey. Actually, though there’s considerable overlap, the French catalogue leaves out some of the sections that are in the Italian catalogue (the introduction helpfully lists what was left out). The chapters about the Bonaparte family reunion and the London watercolour school are included. Sadly, the extracts from Charlotte’s journal during her stay in the United States (which is what I most wanted to read) are left out. Maybe I should start learning Italian after all. If you can get the Italian original it has Charlotte’s original French as an appendix. What I don’t know is where you can get her entire memoir, not just an extract, but it shouldn’t be too hard to find. Charlotte’s entire memoir is the Holy Grail. I have searched for it but come up with nothing. It may never have been published, at least not in English or in French (which is odd). The original manuscript is apparently in the archives of the Museo Napoleonico in Rome. All the more reason to get the Italian catalogue, if that’s the only way of reading the extracts of her memoir in French. Thanks for the tip! One person who may be able to help is Patricia Tyson Stroud. She has worked in the Museo in Rome, I think. I have not found the Museo staff particularly responsive. Thanks, Geoffrey. That’s a great idea. I see from WorldCat that the Italian catalogue is in a few North American libraries, so I’ve just requested a photocopy of the relevant appendix through our local university library’s interlibrary loan feature. If they come up short, I’ll contact Ms Stroud. I recently read her fascinating biography of Charles Lucien Bonaparte (Zénaïde’s husband). Charlotte, Charles and Zénaïde are all characters in the novel I’m currently working on. I presume you have also read her book about Joseph, The Man who had been King. If you get the extract from Charlotte’s memoir, you will find she refers to Mme Lallemand and Mme Charles Lallemand. The former is Henriette. It would be nice if one of the Girard girls could have a small part in your book! I have a little album of Caroline’s containing, among other things, 3 watercolour flower pieces by Charlotte, One possibly symbolic, because it shows flowers we call heartsease and forget-me-not in English, plus some drawings and prints by her, including a landscape done when she was 11; also a landscape of Italy by Zenaide, who was no slouch as an artist, and a flower watercolourby Mme de Genlis, not as good as Charlotte. All quite interesting. Yes, I read Stroud’s book about Joseph Bonaparte when I was researching Napoleon in America. I gave Henriette a role in that novel; still deciding to what I extent I want to bring her into the sequel. Caroline’s album sounds glorious, Geoffrey. How wonderful to have those pieces by Charlotte and Zénaïde. The reference to “Mme Charles Lallemand” is interesting, as I’d like to know more about her. What I’ve found so far is that her name was Marie Charlotte Henriette Lartigue, she was known as Caroline, and she was the 16-year-old daughter of a wealthy Saint-Domingue landholder when Charles married her in New York in April 1804. In Paris, she became a good friend of Laure Junot, the Duchess of Abrantès. She died on on February 20, 1851. She and Charles don’t appear to have had had any children, and I haven’t seen any reference to the two of them being together after 1815. Have you come across any information about her? Yes. Caroline and Henriette met her in Paris on their trip to Europe in 1829. On 30 November Caroline wrote that Mme Charles Lallemand had visited them at their lodgings “a charming woman I shall become fond of her I think”, and this indeed happened, as they went shopping together and passed some evenings together in December. So she was living apart from Charles, though she had earlier been in America as recorded by Charlotte, whose dates in America are known, of course. I’ll try to see if the journal has anything else that may interest you. There is an entry somewhere about Lafitte, whom she compared to Girard in his unhappy nature — quite interesting. I’ll try to find it again. It is not easy to read quickly. Just a little bit of colour about Mme Ch Lallemand — she liked to paint as a hobby, and also to decorate objects. She and Caroline spent a day “painting balls”. The next day they left Paris on their further journey to Italy. Hope this is of some possible interest as part of the atmosphere of the times. Girard was of course still alive when she wrote this. This is of great interest, Geoffrey. Thank you so much. Caroline writes wonderfully. She paints a vivid picture of the evening at the Laffittes. For others who might be reading the comments, the reference is to the French banker Jacques Laffitte (see my post about him here: https://shannonselin.com/2015/01/jacques-laffitte/). Did Charles or Henri Lallemand ever paint, and were they related to Konrad Lallemand? I’m not aware of Generals Charles and Henri Lallemand having artistic talent, Monica. There was a French painter and illustrator named Charles Lallemand who was born in 1826 and died in 1904. You can find some of his work on the website of the Bibliothèque Nationale de France: http://data.bnf.fr/12369180/charles_lallemand/. Similarly, I’m not aware of the Lallemand brothers being related to the artist Konrad (or Conrad) L’Allemand (1809-1880). Does anyone know where any of them lived in Philadelphia? Henri’s wife Henriette lived in her uncle Stephen Girard‘s house at 23 North Water Street when she was growing up, and for some years after Henri died. I don’t know where she and Henri lived together, or where Charles Lallemand lived in Philadelphia. In the winter of 1823 or 1824, Joseph Bonaparte rented a mansion from Stephen Girard called Dunlop House, which occupied the block between Market and Chestnut Streets and 12th and 13th Streets. I have just noticed, on coming back to this, that you say that Henriette and Caroline contested Girard’s will. I believe this is not so. They defended the will, I think. My grandmother was always very proud of this. She knew Henriette as a girl, as I have said before. She used to say she was glad that the relatives who contested were unsuccessful. Thanks for pointing this out, Geoffrey. Henriette and her sisters were involved in suits against the city of Philadelphia to recover real estate that Girard had purchased between the date of the last codicil to his will and his death (see Hazard’s Register of Pennsylvania, Vol. 12, No. 13, pp. 193ff, and Reports of Cases Adjudged in the Supreme Court of Pennsylvania, Vol 1, pp. 489ff). However they did not join Girard’s niece Françoise Fénelon Vidal in contesting the will in the case that went to the Supreme Court in 1844 (see: https://supreme.justia.com/cases/federal/us/43/127/case.html). As you say, they were on the side of the defendants. I have amended the post accordingly. Thanks. It would be nice if you could record that Henriette and her sisters were defendants in the Girard will case, not plaintiffs. They wished the charitable bequest to stand. I’ve added this to my article about Girard: https://shannonselin.com/2014/10/stephen-girard/. [T]though I may be madly in love with [my wife], my love will never make a fool of me; for you see that I can leave her when my business renders it necessary.